Dr. Otto von Habsburg passed yesterday at the age of 98. A champion of multi-culturalism and European integration, his legacy remains in the mission of UNPO. The Hague, 5 July 2011 – It is with sadness that the UNPO learns of the passing of Otto von Habsburg yesterday at the age of 98. The father of Karl von Habsburg, former Director General of UNPO, Dr. von Habsburg received praise throughout his political career for his consistent and unrelenting support of European integration as he sought to cultivate a uniquely European identity and championed the multiculturalism that defines the European Union today. Von Habsburg was instrumental in the organization of the Pan-European Picnic in 1989, a key catalyst for the fall of the Iron Curtain. 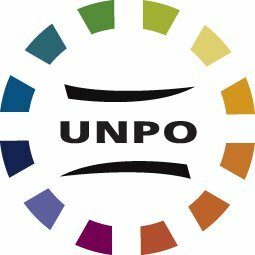 It was against this background of peaceful change that the UNPO was established in Tartu, Estonia in 1991 with the aim of supporting the campaigns of Estonia, Georgia, Armenia, and others in their pursuit of self-determination and independence after decades of Soviet occupation. The support of Otto von Habsburg to these nations and his commitment to their participation in a free and representative European body mirrored UNPO’s efforts to successfully advocate for the inclusion of these founding UNPO members in the United Nations. As one of the last Europeans to have witnessed both the tragedies of the Second World War and the crimes of Communism, his voice will be greatly missed. However, the legacy of Otto von Habsburg is present today in the admiration that is felt throughout UNPO’s members for the values and multiculturalism he helped to make manifest. As Europe and the world embarks on a new century where so many nations and peoples remain unrepresented, Otto von Habsburg will remain a inspiration to millions spread across the continents.